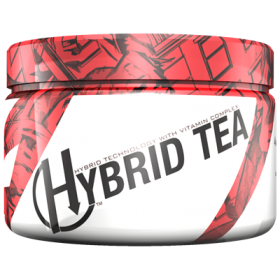 Mutated Nation Hybrid Tea brings you pure high quality ingredients in effective doses, to assist you in weight loss , stress relief and much more. Utilising ancient Japanese natural remedies used by Priests and Nobelmen to stay healthy and stress free is the use of Gyokuro Tea. For over 1000 years, tea plants were grown in Japan and mainly consumed by priests and noblemen as medicine. Priests and noblemen don’t know much about muscle, but they know a lot about living long, unstressed lives. Traditional Japanese Green tea was one of their secrets. Japanese tea is known to have a wealth of nutrition almost as powerful as a specialized sports drink due to the effects of its natural ingredients. Hybrid Tea is purely made from shade-grown Gyokuro tea leaves, these tea leaves are loaded with antioxidants and nutrients that have powerful effects on the body. This includes improved brain function, fat loss, a lower risk of cancer, stress relief and many other incredible benefits. Gyokuro is one of the most expensive and highest grades of Shaded Green tea available in Japan. Gyokuro tea leaves are shielded from the sun for at least three weeks before being harvested, this causes the Amino Acid content to increase and yield a sweet flavor. The tea also gains a distinct aroma from the covering process. Before being made into powder form, Grinding the leaves is a slow process which requires extra attention to details, because the mill stones must not get too warm, lest the aroma of the leaves is altered. 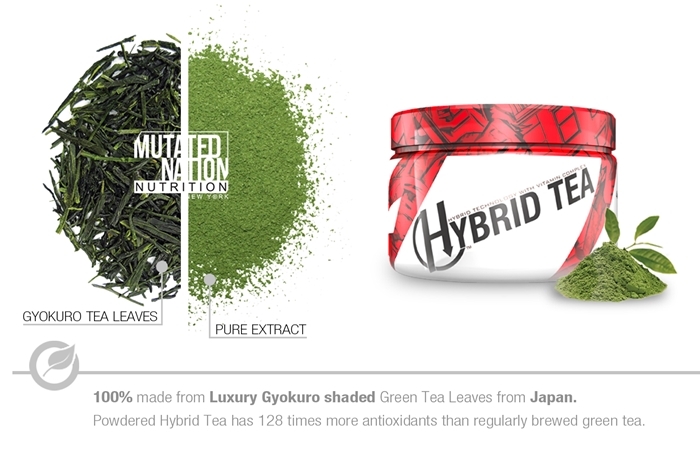 It may take up to one hour to grind 32 grams of Hybrid Tea’s pure green tea content. 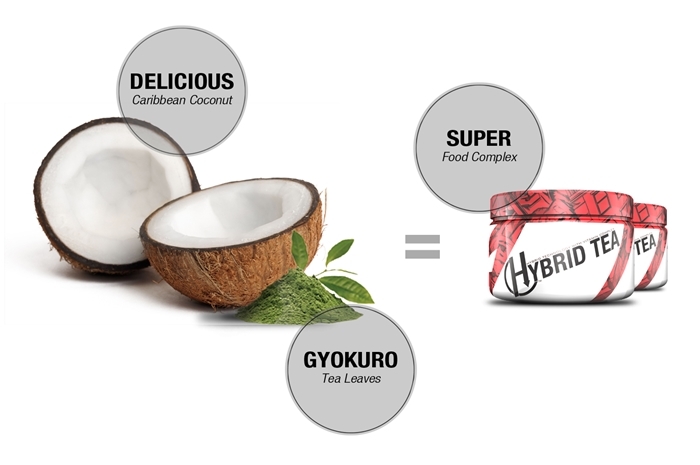 Hybrid Tea is formulated based on the heart of the Japanese way of Premium Gyokuro green tea mixed with extra digestive enzymes and Vitamin complex. Hybrid Tea’s Potency is superior because entire leaves are dissolved in water rather than steeped in bags. Instead of throwing away the leaves, you ingest all the available antioxidant content. Hybrid Tea is at least 100 more times more effective than vitamin C and 25 times more effective than vitamin E at protecting cells and DNA from damage believed to be linked to cancer, heart disease and other serious illnesses. Why is Hybrid Tea better than loose leaf tea? Every day, countless people throw away valuable antioxidants and minerals. While seemingly unimaginable, that’s exactly what happens when you brew a cup of green tea because water can only extract a fraction of green teas benefits. The majority actually remains unused, trapped in the tea leaves. In reality, the only way to truly take advantage of green teas full potential is to consume the entire leaf. But that doesn’t mean you need to start eating tea leaves. The simplest solution is to just enjoy a glass of Hybrid Tea. 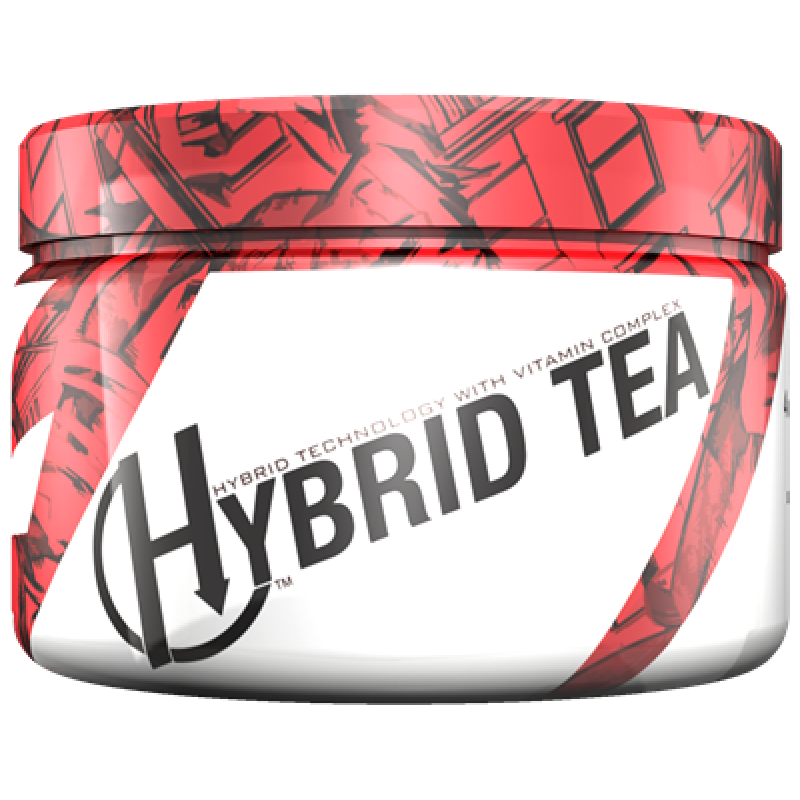 Because Hybrid Tea is formulated based on the heart of the Japanese way of Premium Gyokuro green tea mixed with extra digestive enzyme and Vitamin complex which provides you with powerful arsenal of vitamins, minerals, antioxidants, and amino acids in a way no other green tea can. What unique properties of Hybrid Tea support weight loss? With 0 Calories , Hybrid Tea has a great effect on weight loss as it boosts your metabolism and burns fat. At the same time, Hybrid Tea does not put any stress on the body. It does not raise blood pressure or heart rate, making it a safe alternative for healthy diet and healthy weight loss.